The African Finance Association is affiliated to a number of flagship publications including African Finance Journal, Review of Development Finance, Africagrowth Agenda and Development Finance Agenda. The African Finance Journal, is IBSS, Scopus, and Econlit listed and accredited by the South African governments and Department of Education for subsidy purpose. Review fof Development Finance is both Scopus, CABS and IBSS listed and Africagrowth Agenda is IBSS listed. 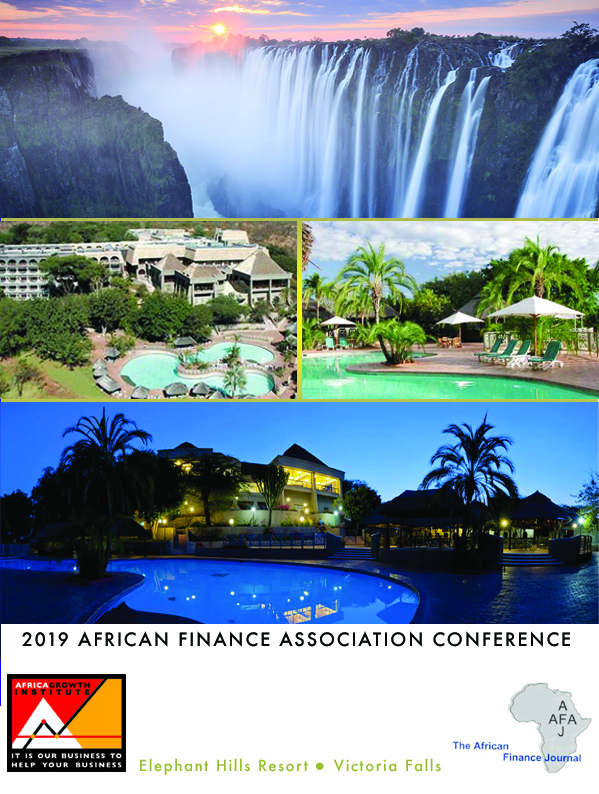 A Special Conference Issue of the African Finance Journal will be published and authors are encouraged to submit their articles to be considered for the issue. Certificate of participation will be issued to all authors. In addition to this, all abstracts will be published as conference proceedings on our website. An award of $300 and a certificate of excellence will be awarded to the author of the best paper presented at the conference.